Please re-apply for an Approval to Course. Your Approval To Drive (ATD) expired on 30 June 2018. Uber FastLane: If you’ve previously signed up to take your PDVL with Uber’s FastLane programme, please scroll down to the FAQs to find out more. Express One is the fastest application process to attain your PDVL certification and the easiest way to pass your PDVL test. We have partnered with the Singapore Taxi Academy to provide certified trainers with real world experience to strengthen your competency for your PDVL test! Increase your chance of passing. Join our free revision class at the Learning Hub at Grab @ Sin Ming. Join our express queue and complete your training up to 50% faster. 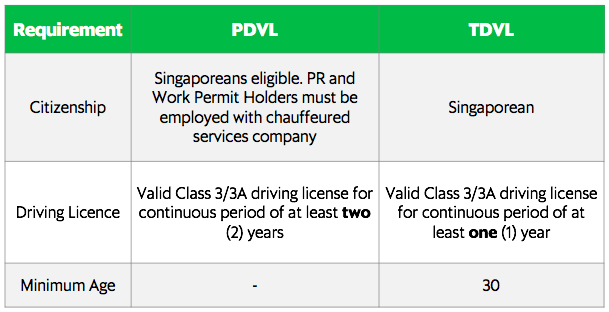 Why should I apply for my PDVL through Grab? TDVL holders need not apply for the PDVL, so you can continue driving with Grab as long as your TDVL is valid. Please send us a copy of your NRIC so that we can verify the status of your TDVL. You may send it in via ops.sg.pdvl@grabtaxi.com or upload your document here with subject “Proof to Drive”. The TDVL allows you to drive both taxis and private hire cars. You are also allowed to take street hail jobs when driving a taxi. However, there are different eligibility criteria for TDVL and PDVL (see table below). To obtain your TDVL, you will also have to undergo a more rigorous training course that takes 25 hours. If you have applied for your PDVL through LTA and have received your approval letter from LTA, please send us a copy and state your NRIC. You may send it in via email to ops.sg.pdvl@grabtaxi.com with subject “Proof to Drive”. When do I need to obtain my PDVL to continue driving with Grab? For Approval to Drive (ATD)-holders, you can currently continue driving with Grab. However, you must complete your medical check-up, training and test by 30 June 2018 to avoid being deactivated. I am a PR and/or not eligible for SkillsFuture credits. Will Grab help finance my training costs? If you are not eligible for SkillsFuture credits, Grab will cover your costs for training. $155.15 (cash) for your training materials, course and test fee. Training course and test fees of $128.40 is claimable with your SkillsFuture Credits (STA Receipt will be issued to you on the training course date). $26.75 for training materials is claimable from Grab. What expenses are claimable from Grab and how do I submit a claim? The following are allowed expenses claimable from Grab. Upon approval, the amounts will be added to your credit wallet. All claims are to be submitted via grb.to/pdvlclaims. What happened to online sign up? Online sign up closed on 7th June 2018, if you have yet to sign up for your PDVL, visit Grab@Sin Ming, or Grab@Herencia to do so. I have previously signed up for PDVL with FastLane. Do I need to sign up again with ExpressOne? We’re pleased to announce that FastLane and ExpressOne will be combining operations. 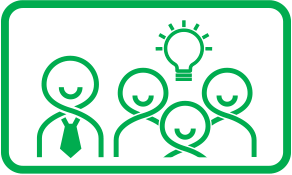 You will be able to continue your certification process fully supported by Grab. We’re committed to facilitate your PDVL application. I previously signed up for PDVL with FastLane and have not received my PDVL, how do I go about with continuing my PDVL application (medical check, training and test)? Continue with the PDVL application through FastLane and the team will reach out to you soon regarding the next PDVL process. I’d like to sign up for PDVL. What should I do? Please sign up at http://grb.to/expressone. I have done my medical check with Raffles Medical Group (RGM) through FastLane and currently awaiting for the medical report before I can continue with my PDVL application. How would I proceed to book the PDVL training or test? Drivers who have completed their medical check with RGM can retrieve their Medical Reports (MR) from Level 4 UBER Herencia Lounge @46 Kim Yan Road once Grab/Uber informs that MR is ready for collection and proceed to book PDVL course and test through Grab (ExpressOne) or STA if they have not done so. If they have completed the PDVL training and test, the drivers can retrieve the medical report as per above arrangement and pass it to the training providers (STA or Comfort Training) for them to process the Temp PDVL. I have done my English WPL Assessment through FastLane and currently awaiting for the result before I can continue with my PDVL application. How would I proceed to book the PDVL training? While awaiting for the English WPL Assessment results, drivers can proceed to book PDVL course and test through Grab (ExpressOne) or STA if they have not done so. 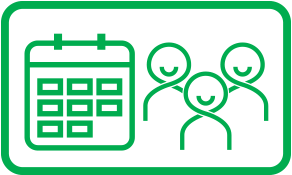 Grab/Uber will inform the driver once the English WPL Assessment is ready or if there is a need to retake the assessment. I applied my PDVL through FastLane, completed PDVL training and passed the test. What should I do to get my PDVL? Drivers can collect their Temp PDVL upon passing the test at the respective training providers. I have passed the PDVL test and the training providers informed me that the Temp PDVL is with UBER. How should I go about with the Temp PDVL collection? Please proceed to your respective training center (STA or CDG) to make the collection for your Temporary Vocational License (Temp VL). Please note that you must submit all supporting documents before being issued the license (ATC/ATD, Medical Report, English Certificate).